Ford has revealed the pricing for the 2015 Mustang, and there’s more than a couple surprises. *Note: Prices include a $825 Destination & Delivery Charge & Manual Transmission. 6 Speed Auto is a premium upgrade. First, let’s not overshadow how big of a day this is for enthusiasts who have been waiting to order the 6th Generation Ford Mustang–today you can rejoice in knowing Ford will finally accept deposits. With the opening of order banks, those eagerly awaiting this day are rushing to dealerships to place orders, in some cases, even before they knew what the car would cost. For many, pricing wasn’t the main concern; figuring out what color and available options they wanted was a bigger deal. Others, influenced by the final horsepower and torque numbers for all three motors that Ford will not reveal, are still holding their wallets in anticipation of Ford finally announcing power and weight specs. Also worth mentioning is that you won’t find a performance package available if you’re looking at picking up a 2015 V6. 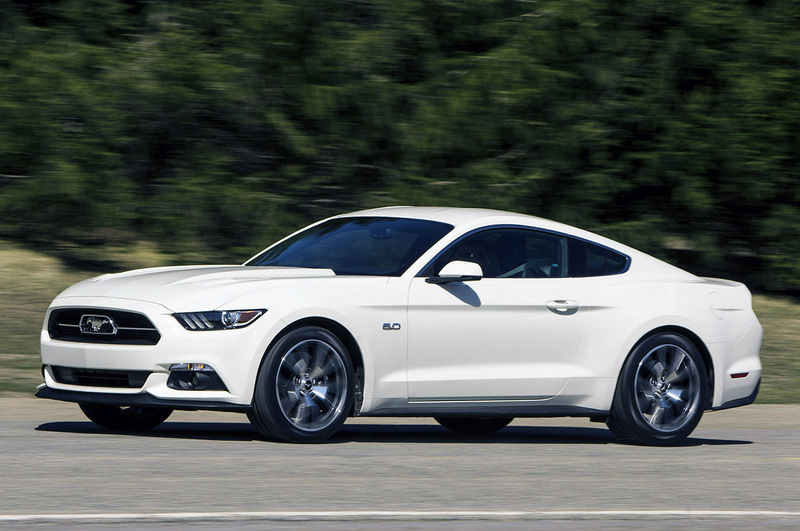 While the price of a limited edition (LE) 2015 Oxford While Mustang ($46,995) might scare some, considering the collectability that comes with a 1 out of 1,640 run Mustang that’s essentially a fully loaded GT, the $10k premium starts looking better. 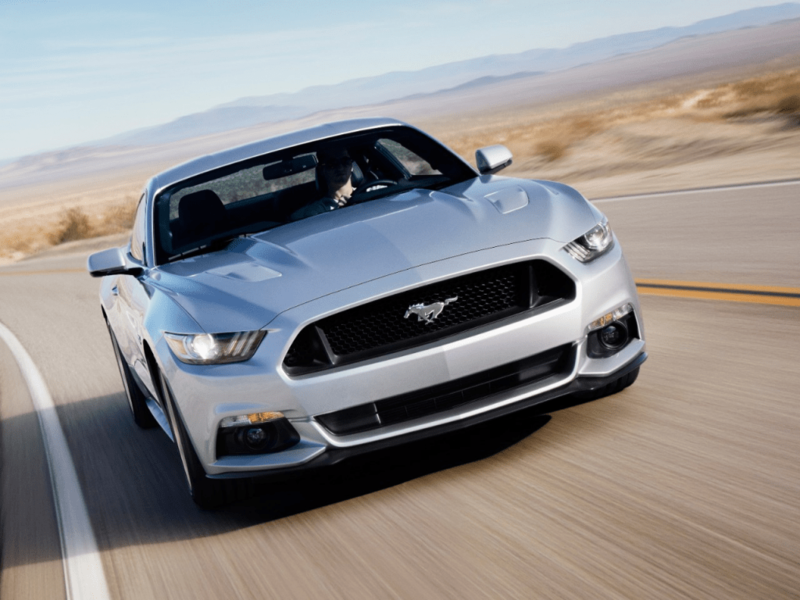 The LE 50th cars are also the only 2015 Mustangs being offered with an automatic transmission with the performance package (PP), but do not offer anything in the way of added performance over the PP GT–only cosmetic and interior upgrades. 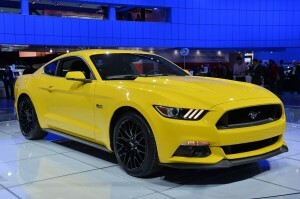 Also, do not expect any X plan pricing on the 50th Anniversary LE Mustangs. If you want X plan pricing, perhaps consider a standard GT with the 50th Anniversary Package. We’ve known for a while that there will be three motors offered with the 2015 Mustang, but what parts each car may use or how much power they’ll put down is yet to be stated by Ford. 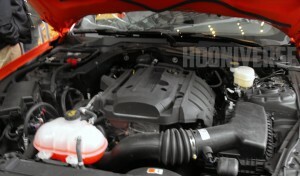 Keeping in mind the EcoBoost’s 2.3L is based highly on the Lincoln MKC’s new engine, the V6 is still the same 3.7L from the 2014 Mustang and that a beefed up version of the Coyote will be under the hood of the GT, the estimates Ford did provide should paint a predictable future for each. It’s been said we’ll have to wait for the convertibles until later in the fall, and that still seems to hold true. There is no more information in the ordering banks regarding the convertible models as there was a week or six weeks ago–the wait continues. With the opening of S550 order banks there is still no sign of a release date or any additional information on a top model replacement vehicle for the current GT500. We’ve seen it testing, got a peek at the interior and know Ford has something special in the works, but it’s looking quite certain that the top-end model S550 will not be available until the 2015 model year. Next Entry Spied: New 2015 Mustang Engine Variant – What is it? what i want to see are the bumpers from Saleen, Roush, Shelby, etc, dont like the stock one, and the headligths are stupid, if i had 25k i would buy an eco boost and a nuew bumper and headlights asap! !